The jewelry I make is created in my home from a wide variety of materials. I love bright colors and a mix of styles from the casual to the dressy that develop into fashionable, fun, affordable, one-of-a-kind jewelry creations. The chainmaille, kumihimo, right angle weave, traditional and other styles and colors are all exciting to me and make me happy when I'm "beading" or working on my jewelry. Making my customers happy is very important to me and love making a specific piece for someone. If you see something you like but would like a different size or color, please contact me and I will do my best to meet your need. Thank you for visiting my shop, please stop by again to view my latest creations. Bette at JewelryDesignsbyBRC. 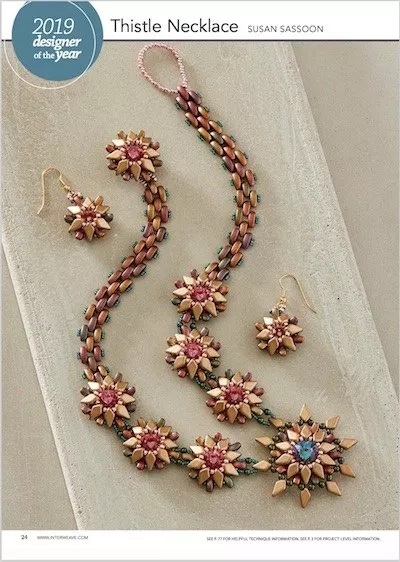 Susan is a Beadwork Magazine Designer of the Year for 2019 and has absolutely amazing jewelry creations! Visit So Sassy by Susan Sassoon and you will find Susan Sassoon's Beadwork tutorials for sale. Teaching licenses for these tutorials are available by special request. Bead stores, bead societies, bead retreats and similar venues may be eligible for a group discount. 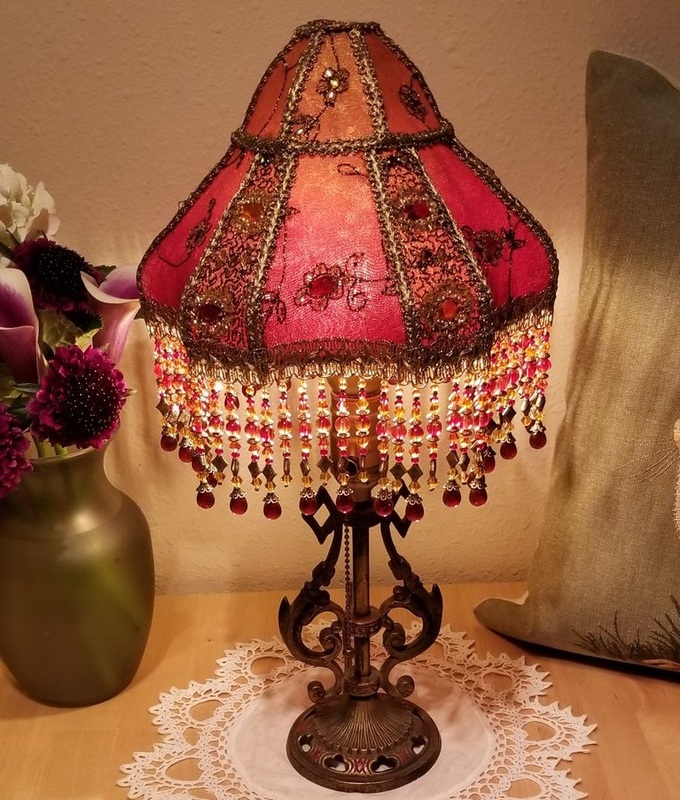 One of our customers, Crystal Hayes, creates absolutely beautiful lamps. She offers them for sale on her website, www.elegancelamps.com. Elegance Lamps caters to the discriminating lighting aficionados seeking authentic, quality hand-made products and one-of-a-kind design. At Elegance Lamps, quality matters. Our antique lamps are restored using new UL Listed parts and are wired by a certified electrician for safety and peace of mind. Our exclusive fabric lampshades are constructed with the highest quality materials available. Each shade is fully-lined and hand sewn using the finest silks. Authentic antique and vintage appliques and trims are hand selected for authenticity, originality, and with a profound appreciation for the preservation of historic textiles. The "Modern Materials" lamps are created using the same high-quality handmade construction techniques as Antique & Vintage Lamps, yet offer a combination of modern and vintage textiles that allow for an affordable yet unique lighting experience. Antique & Vintage, Modern Materials, and Steampunk lamps are available in our online gallery. Custom lampshades in any style can be created upon request.